Zapiekanka is Polish name for traditional street food in every city in Poland. 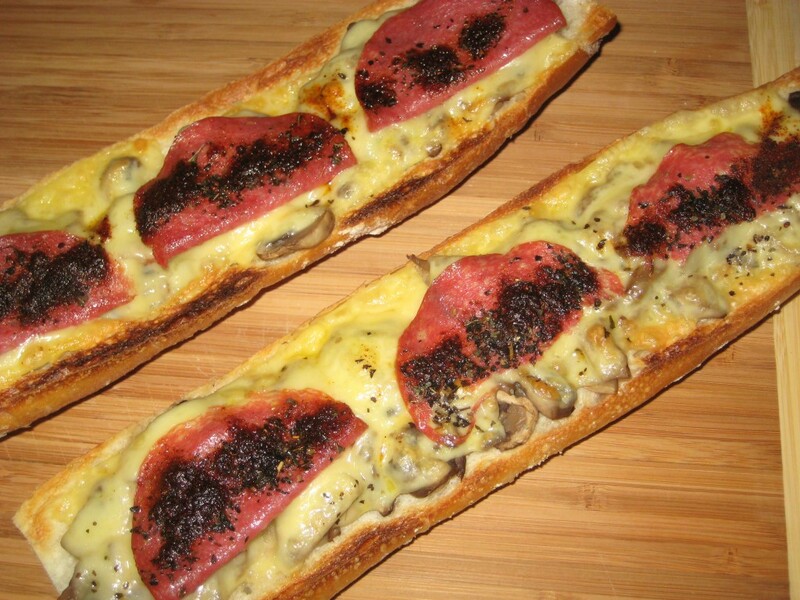 Zapiekanka is an open-face sandwich made from halved baguette topped with sauteed mushrooms and cheese, also ham or salami, sprinkled with oregano and sweet paprika and then baked in the oven. Nowadays when the streets of Poland are crowded with places selling this most popular low-cost fast food you will find modified versions using more ingredients like “Greek” zapiekanka with olives and feta cheese, “Hawaiian” zapiekanka with pineapple, etc. In this video recipe, Ula shows how to make zapiekanka delicious and quick. Zapiekanka can be served with ketchup on top. Posted in: Main Courses. Tags: bread, cheese, ham, mushroom, salami.